Why can’t I run my .NET 4.0 site on Windows 2003 with IIS 6? 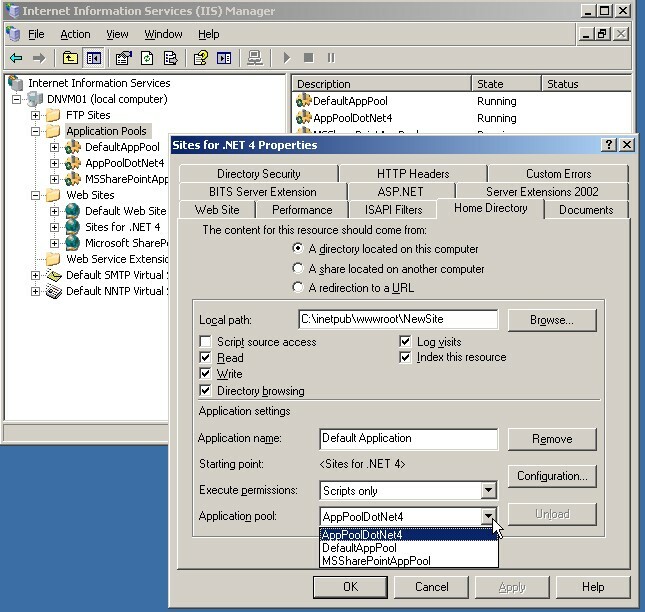 IIS 6 (that comes with Windows 2003) does not let you have more than one framework at a time running in the same instance like IIS7 that can create Application PoolS targeting different frameworks. This just means a single application pool can’t be used for two different frameworks like IIS7. Downgrade the .NET application to 3.5 with Visual Studio 2010. Just go to the Website project properties, Application tab and there is a drop down with all the framework releases, select 3.5. 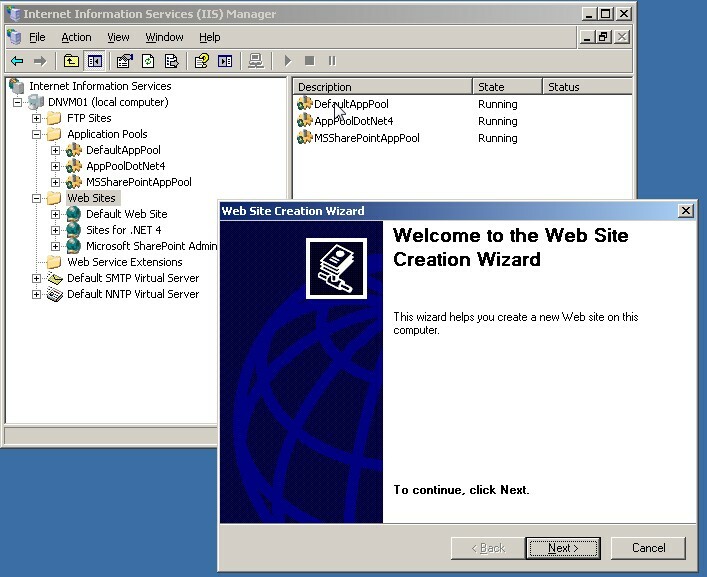 Configure IIS6 with a second application pool and a second web site. 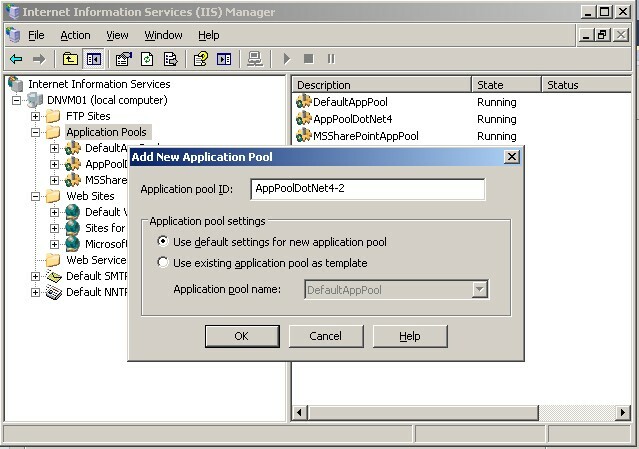 Then assign this application pool to the Framework 4 web application that will be hosted by your new site. To assign the application pool, in the IIS console open the properties section of the web application, and click on the “Home directory” tab and select the application pool which you have created earlier. Then you need to change the ASP.NET version of your application. 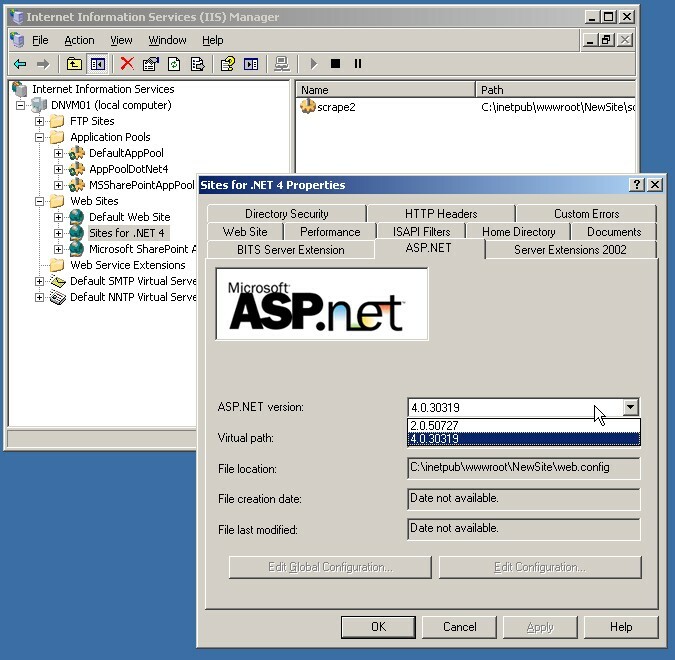 Right click your virtual directory that hosts your application and click the property and check the ASP.Net. 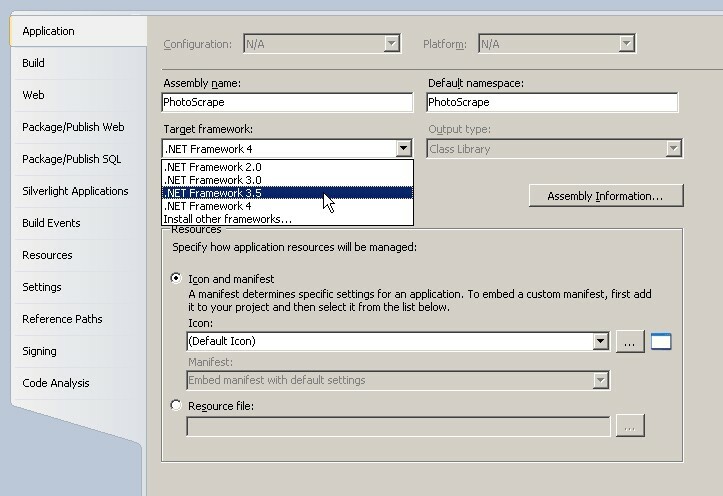 Select Framework 4. 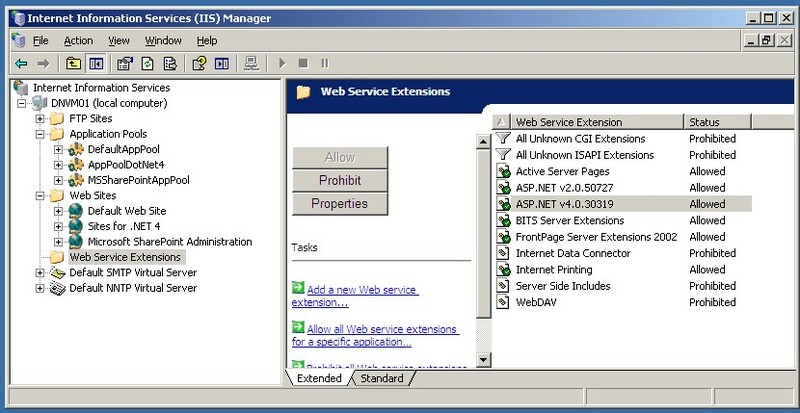 Select ASP.NET 4.0 on IIS6 under Web Service Extension. Go to the IIS6 console open “web service extension node” which is right below the “default website” node. 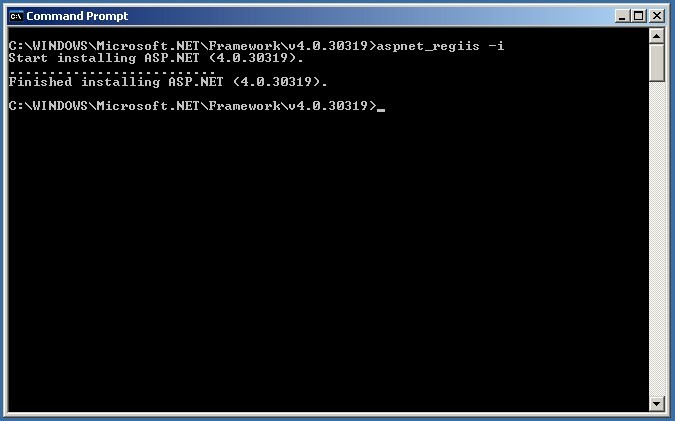 You will see the entire ASP.Net framework list that is installed. By default these frameworks might be prohibited so please select ASP.Net Framework 4 and click allow button. Have Visual Studio build your MVC Views to check for errors.